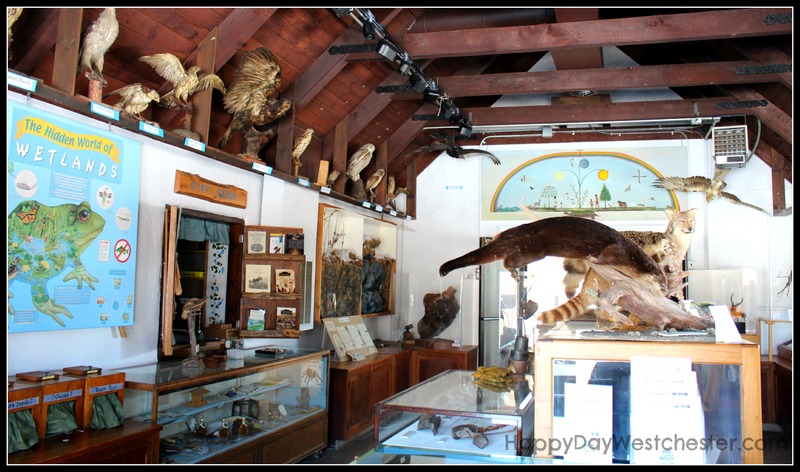 It turns out, this wonderful little museum hosts frequent nature programs, open to the public. 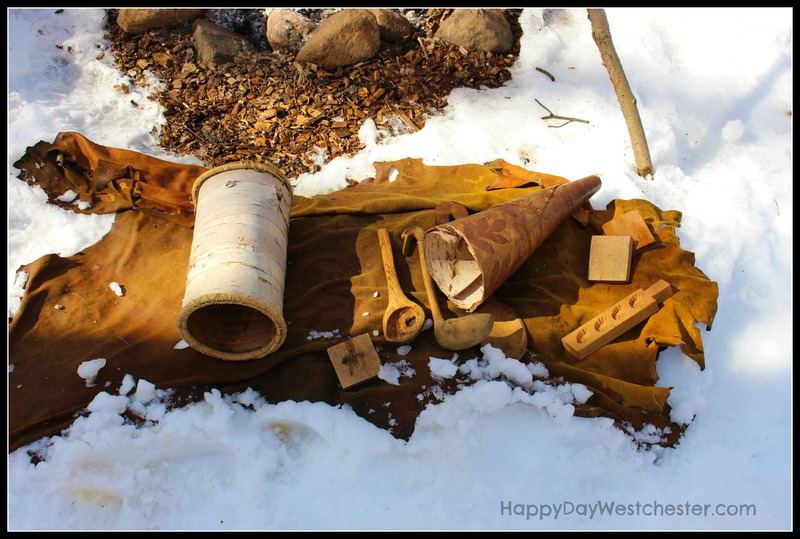 This week: Maple Sugaring, as discovered by the Native Americans. We arrived at the museum and were directed down a short snowy path, to a fire circle out back. A short hike next to a babbling brook took us to the fire circle. 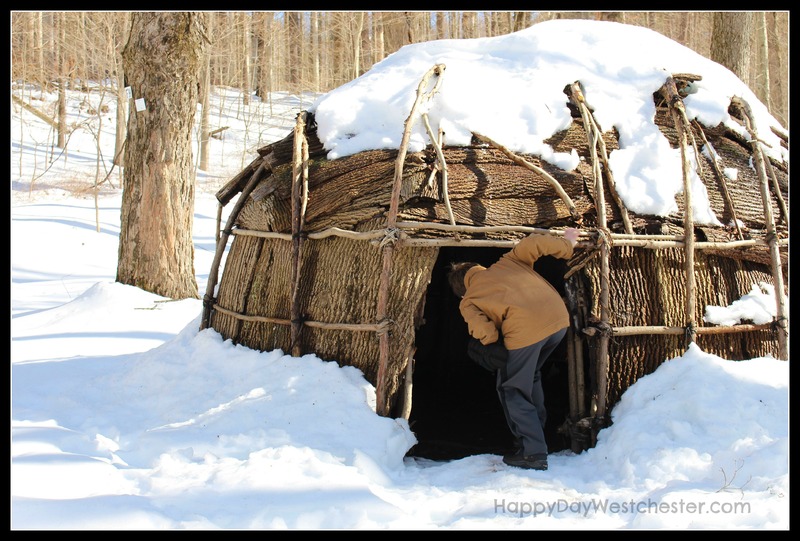 The setting was picturesque – a snow-covered slope, a Native American-inspired wigwam, a babbling brook, a crackling fire. As the crowd of 30 or so gathered around the fire circle, Jason Klein, the curator of the Museum, started the program with a Native American fable about how Maple Sugar was discovered. 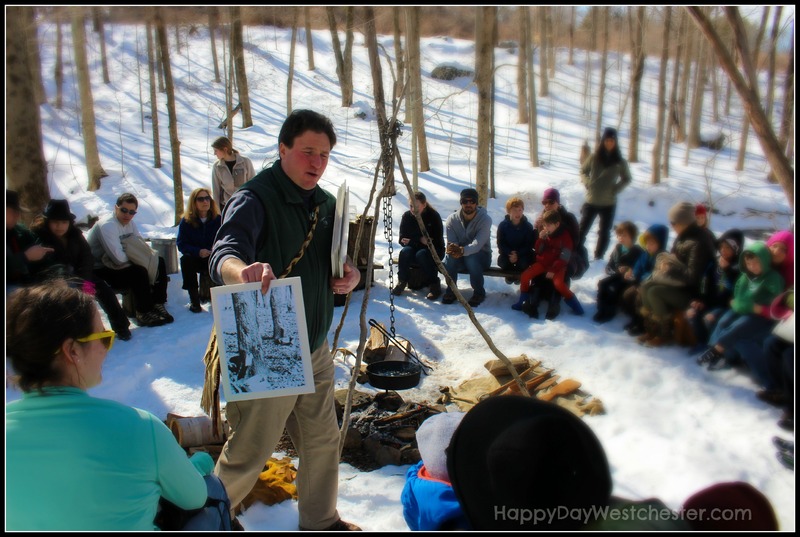 Then he kept the crowd engaged, learning and laughing, with fascinating facts and interesting anecdotes about maple sugar, maple syrup, how the Native Americans used to make it, and how it’s made right now. There were young and old in the crowd, and Jason used just the right mix of facts and fun to keep everyone involved and interested. 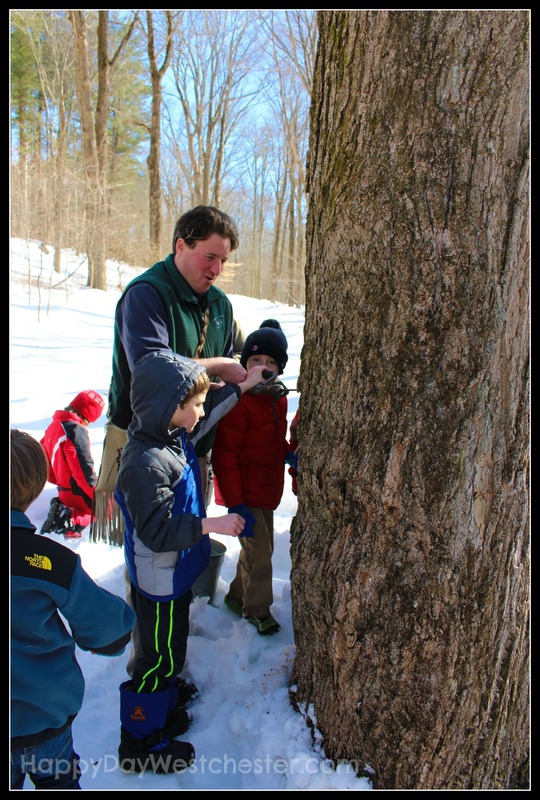 Thanks Jason – we’ll definitely be back for more nature programs here at the Trailside Museum! 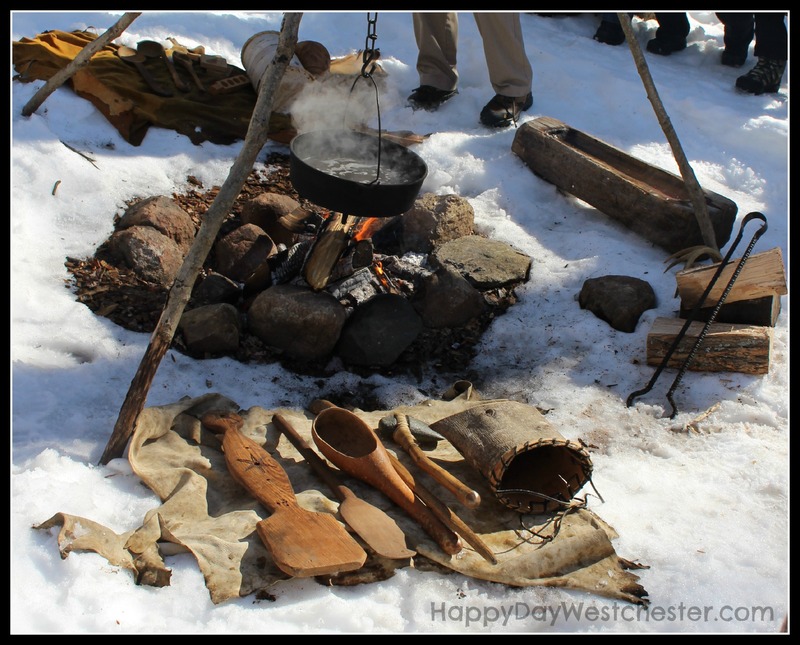 Did you know Maple Sugaring was discovered by Native Americans? I didn’t. They started tapping trees “when the first crow appeared”, and they ended with “the first thunderstorm of spring”. We learned this, and so much more, during Jason’s presentation. After a quick pass through the wigwam, we all followed Jason over to a big beautiful Sugar Maple, just waiting to be tapped. Jason let the kids in the crowd drill the hole in the tree, and he hung the bucket to collect the sap. Next, back to the Sugar House…. Fire! Stoking the fire to keep the sap bubbling, in the Sugar House. …for a demonstration on how the fire is kept burning and the sap is boiled down to syrup, graded and bottled….and then, finally, a taste of the delicious outcome. Thanks to the Friends of the Trailside Nature Museum, the museum offers interpretive programs like this all year long. Click here to check out the schedule of upcoming events on their webpage, and sign up for email alerts if you’re interested in hearing about upcoming events. 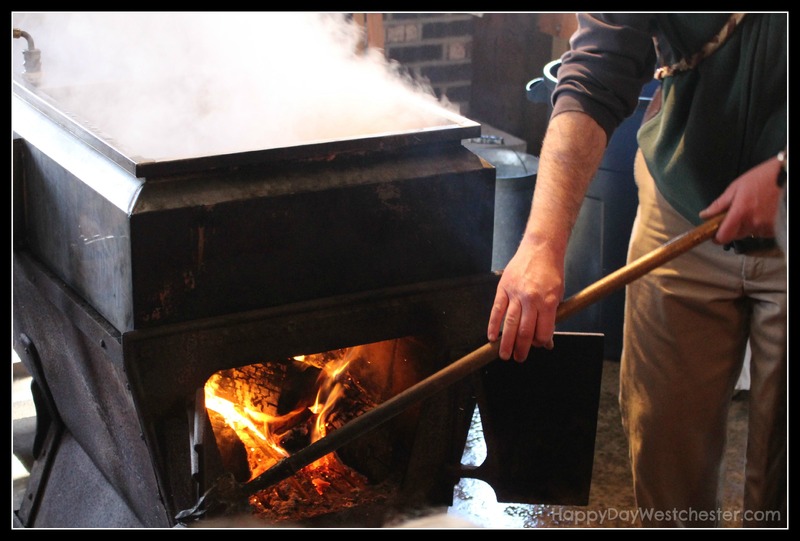 Of particular note: more maple sugaring going on in the Sugar House for the next few weekends, culminating in a Sugaring Off party on March 29th, with more tasting, toasting, music and more. Count us in! We took a look in the Museum when the program was over, and got to chat more with Zaac Chaves, a naturalist at the museum. We learned this museum is one of the oldest of its kind in the country. It’s a charming structure built by the Civilian Conservation Corp (CCC) during the great depression, and it’s full of very interesting things. Check out the original topographical map from when the park was first created, authentic totem poles, information about the Leatherman (who lived in a cave in the park), and of course, a wealth of information about local animals, fungi, plants, and rocks. Thanks for the chat, Zaac! 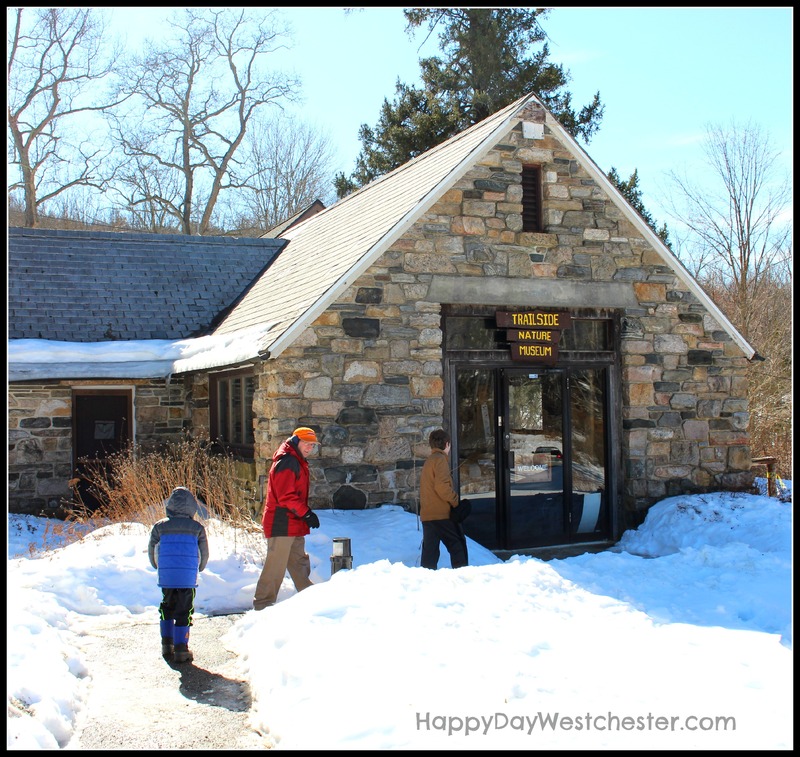 The Trailside Museum is another example of how many wonderful places and things there are to see around Westchester. Keep it in mind the next time you’re looking for your next Happy Day! 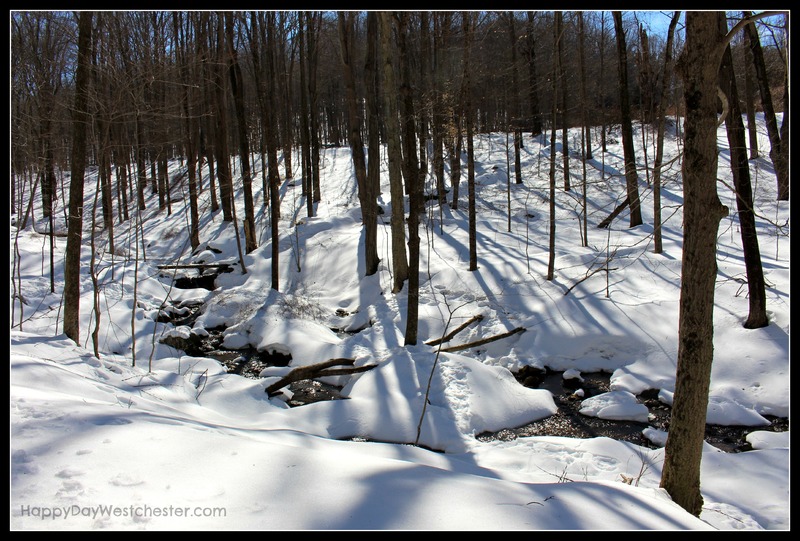 By the way – we did do our February hike here at Ward Pound Ridge – more on that soon. Have you been to the Trailside Museum? Are there other great nature programs here we should check out? Let us know in the comments!